Good afternoon #qbochat – ters! Tonya from Schulte and Schulte here in gorgeous, sunny Phoenix, Arizona. Great topic this week! Hello #qbochat family! Alex here in Eagle, ID with TSheets Time Tracking & Scheduling!! 🙂 How is everybody’s week going? Happy Fake Friday! Hello all! Jen here for Kninja Knetwork. Gloomy fall day. AND, don’t forget to include the hashtag #QBOchat in your tweets so we can all see you!
. 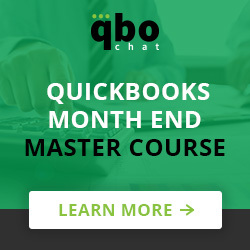 @QBOchat Hello everyone! Excited to participate in our first #QBOChat today! @tsheets Thanks good but busy leading up to #QBConnect #QBOChat how about u? @CathyIconis We have some awesome people here on #QBOchat!! A5: We’re all Google here – No matter what device I’m on I have everything I need in my chrome person.